Using the ocean as our classroom, we inspire children to learn. The Ocean Institute, founded in 1977 as the Orange County Marine Institute, is a community-based 501(c)(3) organization that educates 250,000 visitors annually through over 60 marine science and maritime history programs. We are located on 2.4 acres in the Dana Point Harbor; adjacent to a Marine Life Conservation Area. The facility is an ocean education center that offers in-depth Marine Science, Maritime History and Outdoor Education programs. The Institute includes state-of-the-art teaching labs, the spectacular Maddie James Seaside Learning Center, two historic tallships, and an oceanographic research vessel. Immersion-based field trips range from one-hour science labs to multi-day programs at sea and at the Lazy W Ranch, in the foothills of the Santa Ana Mountains. All programs are designed to maximize immersion, spark curiosity, and inspire a deep commitment to learning. We invite you to explore the ocean’s underwater world and California’s fascinating maritime history through fun, interactive programs and family activities that indulge your ocean curiosity. We are now open to the public seven days a week and offer our new exhibit the Headlands and Beyond as well as a site-wide journey through the campus. Throughout the year we offer family programs, summer camps, whale-watching cruises, tallship sails, and various events including the annual Toshiba Tall Ships Festival and Festival of Whales. 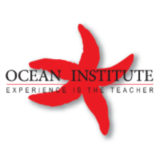 Ocean Institute has not yet activated their merchant account with Givsum. Your donation will go to the GIVSUM Foundation who will issue a check to Ocean Institute ( less applicable fees ) as a grant within 30 days. You will get a tax receipt for the full amount of your donation from the GIVSUM Foundation, which you may use for your tax purposes.